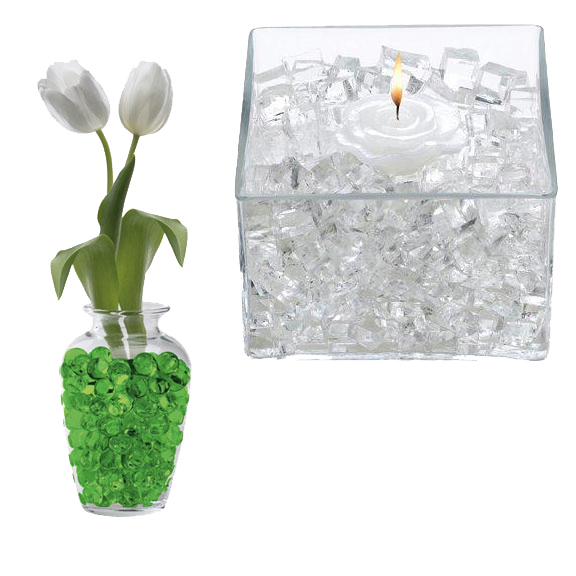 This gem of a product creates glimmering floral or candle arrangements in clear vases and bowls. Use for weddings, birthdays, parties, graduations, etc. Easy to use - just add water ! After use, dispose of cubes in trash container, do not flush down drains.